A drawing game that requires no artistic skill, just a sense of humor and paper and pen. The fast-action, fun-filled drawing game. This isn’t a game that makes you draw inside the lines or asks you to draw pictures of things that exist in the real world. Big yawn. This is creativity gone wacky. Drawing gone wild. Fun gone crazy. 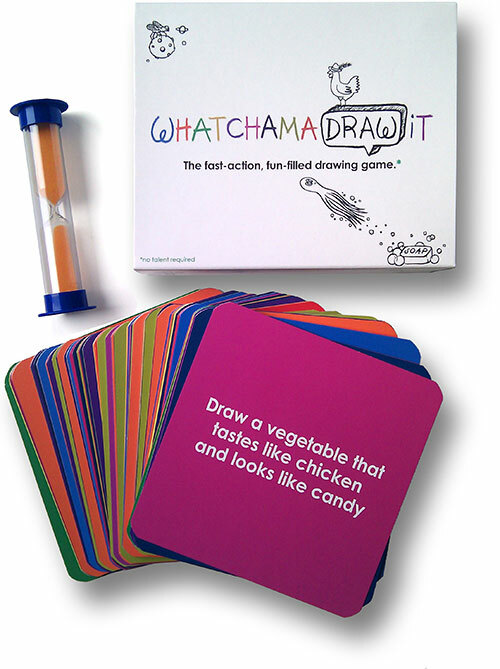 WhatchamaDRAWit is as much fun to say as it is to play.